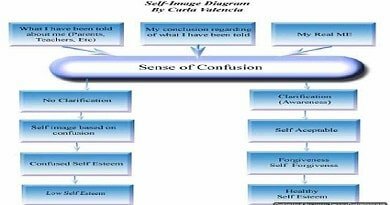 You are here:Home » Self-Esteem » What is self esteem? What Makes a Person’s Self-Esteem? What does low self-esteem look like in the real world? It has become conventional wisdom that people with high self-esteem are set to succeed in life. It’s one of those inevitable things that you might have dealt with at least once in your life, possibly through tough personal experiences or from lessons in school. Indeed, you will need to have a high level of self-assurance and confidence to get through the hardships that you have to experience to achieve your ultimate goals in life: be it with your relationships or your career. This is why motivational phrases often go along the lines of “Believe in Yourself” or “Be Proud of Yourself” – because your level of self-esteem can literally make or break your biggest life decisions. You might also know some people who exhibit signs of low self-esteem: the lack of social skills, self-neglect, pessimism. Fortunately, it’s never too late for anyone to work on their self-esteem and understanding how it works is the first step to improving it. Psychology Today defines self-esteem simply as one’s self-judgement. It can be differentiated into two types: the “trait” self-esteem, which is person’s inherent level of self-esteem, and the “state” self-esteem, which is dependent on the relative success or failure of a relevant or personal goal (James, W., 1980). Self-esteem can also be defined as one’s subjective evaluation of his or her own value – a measure of how confident a person is of what they can achieve with their own capabilities. It is considered as a major component to a person’s mental health and stability. You might’ve noticed some people in your life who seem like they were born with high self-esteem. While its not entirely false that a person’s level of self-esteem is genetically influenced, there are dozens of factors that can define how a person developed their level of self-esteem. Although the concept is still widely debated, many scientists believe that a part of a person’s development is influenced by their environment, while the other half is predetermined by their genes. 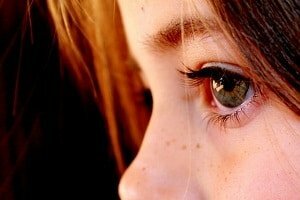 While genes do not directly predetermine someone’s personality, people can inherit chromosomes that are linked to traits like agoraphobia, social anxiety, differences in blood flow and other conditions that contribute to an inherently low self-esteem. A person’s childhood is the most crucial time in the development of their personality, and that includes their self-esteem. The behavior of family, peers, and the events that happen in this period all influence how the child will see himself and the world once they reach adulthood. For instance, a child that came from a shaky household is more likely to suffer from a low sense of self worth than a child coming from a stable and reassuring family. Bullying done by their peers is also detrimental to a child’s self-confidence, and you can notice this in adults who have experienced bullying during their formative years. If your self-regard is evaluated on the way others perceive you and you already perceive yourself negatively you will only see the negative and ignore any positives. The pressures of conforming to society’s ideals can greatly lower one’s self-esteem, especially if a person is insecure with their individuality. We are constantly surrounded by mediums such as television, magazines, and social media, which are all highly influential among impressionable people – and this influence is powerful enough for people to follow whatever they see that is “trendy” or “cool”. The fear of social rejection is the number one reason why people constantly strive to achieve these projected societal ideals. This constant quest to conform and be accepted by their peers is a major stressor that leads to low self-esteem. Some religions or beliefs systems have teachings that purposefully devalues a person’s self-worth, such as preaching that a person is inherently bad or sinful, and that they must do certain things for repentance. Meanwhile, some religions create a positive impact on an individual’s self-esteem by instilling a sense of purpose and belonging. A person’s overall physical and mental health is a major factor in how secure they feel about themselves. Being in tune with your body, mind, and spirit helps give an extra confidence boost when dealing with the stresses of your daily life. Meanwhile, a body and soul that isn’t maintained well will reflect through the individual’s sense of self-worth. Depression is a powerful symptom, both physically and emotionally. We may have weight issues, whether obesity or anorexia. Sometimes we feel a lack of control in our lives, so we try to control the one thing we can, and that is what we put into our bodies. If we are told as children that we are unattractive or too heavy, we may become even heavier. Conversely, if we are always told what to do and when to do it, we may lean toward anorexia to show we can control something others can’t. We tend to isolate ourselves to avoid confronting those negative feelings as much as possible. Of course, not all individuals show any outward signs of low self esteem. They may live a life that feels perfectly normal to them. 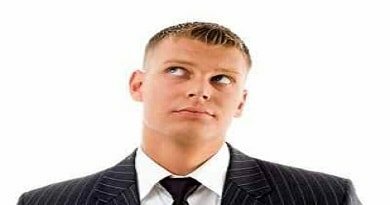 If they drink alcohol or use other substances, they may not recognize that something is not right about the amounts they consume or realize that their thinking processes are exaggerated, leading them to more potential problems. Indeed, they may elect to drink alone rather than in public places so that others cannot see them out of control. 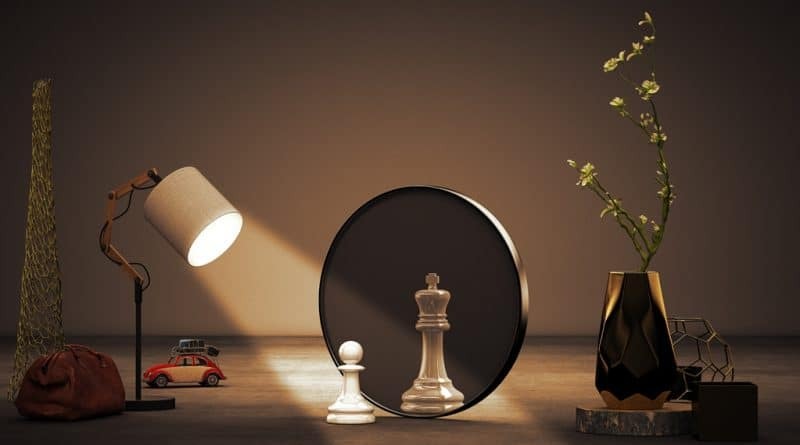 If you’re curious as to how you fare in the self-esteem department, psychologists have formulated plenty of ways that can help you define how high or low is your level of self-esteem. Take note, however, that these assessment tools are flawed, and results should not be taken as the absolute truth. It’s highly recommended that you take multiple tests to compare between results and use them as tools for self-improvement. The Rosenberg Self-Esteem Scale is one of the most widely-used measures of self-esteem, thanks to its simplicity as compared to other scales. It contains 10 items that a respondent will answer on a scale from 1 (Strongly Agree) to 4 (Strongly Disagree), with some of the items being reverse-scored. Higher scores indicate low self-esteem, and vice versa. The Coppersmith Self-Esteem Inventory is the second most widely used measure of self-esteem. It contains 50 items that the respondent has to associate with given phrases such as “like me” or “not like me”, according to what best represents their feeling about the given sentence. Let go of little mistakes, everybody makes them. Although self-esteem is important in sustaining a good level of mental health, it’s perfectly natural if you feel insecure every now and then. A high self-esteem won’t solve all your problems and breeze you through life’s struggles. In fact, there is such a thing as a self-esteem that’s TOO high! But self-esteem will definitely help you stay strong through the countless challenges you will face in life. Sometimes, self-esteem is even built through these hardships. It’s a long process, but achieving the right level of self-esteem is never impossible! A person with a healthy self esteem has the confidence to seek what they want without causing another person to feel unworthy. Confidence is really what a healthy self esteem looks and feel like. Confidence is often a quiet thing that is sensed by others. When you enter a room others will feel the presence of confidence and actually gravitate toward the confident person. When we note that a person is rather friendly and personable, it the sense of confidence to which we are attracted. Standing tall and delivering a grand smile is confidence. Allowing a person to cut in line is confidence. Sharing a table in a restaurant with a lone diner is confidence. Buying a stranger’s coffee is confidence. It may be hard to smile at first and risk being seen, but in time that recognition will look and feel right to you because you really do have a lovely smile.